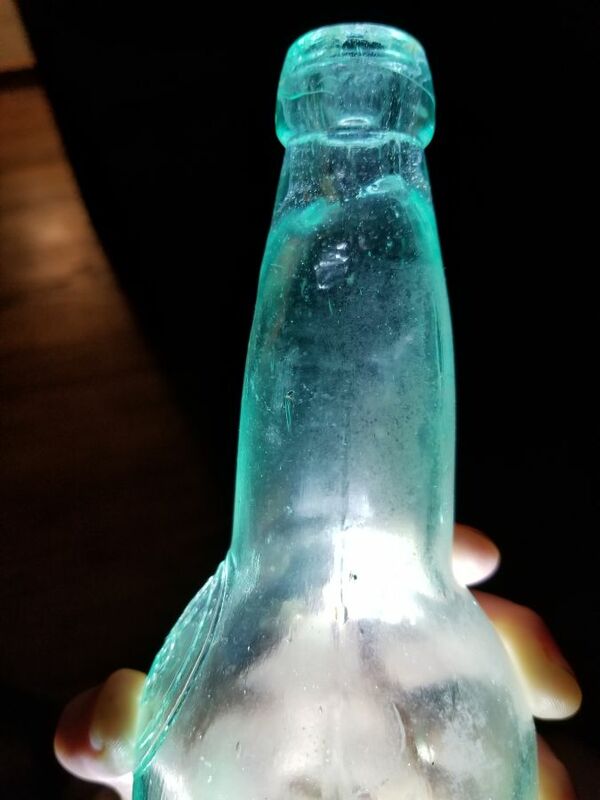 Can anyone please help me identify this bottle? I am unable to research it because I don't even know how to describe it. How tall is it? Does it have anything on the bottom? 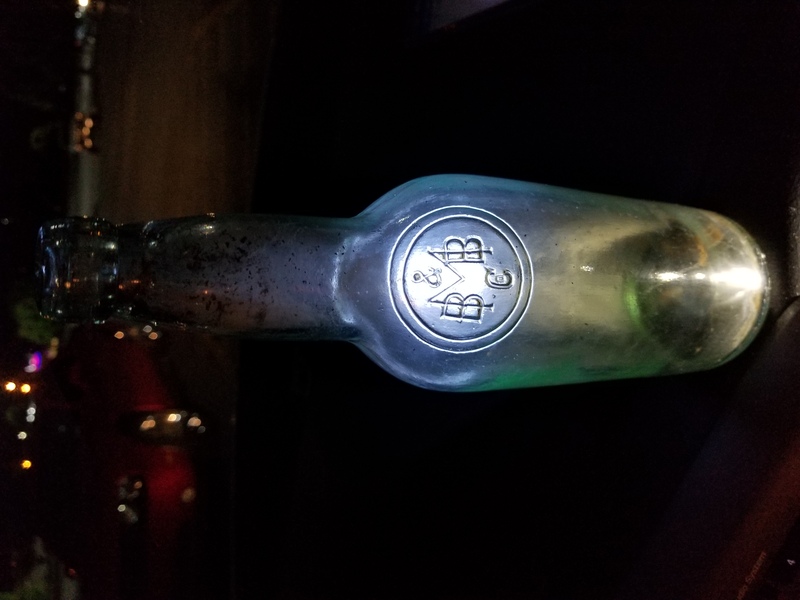 Your photo does a superb job of highlighting the embossed company insignia but I need a few more details. 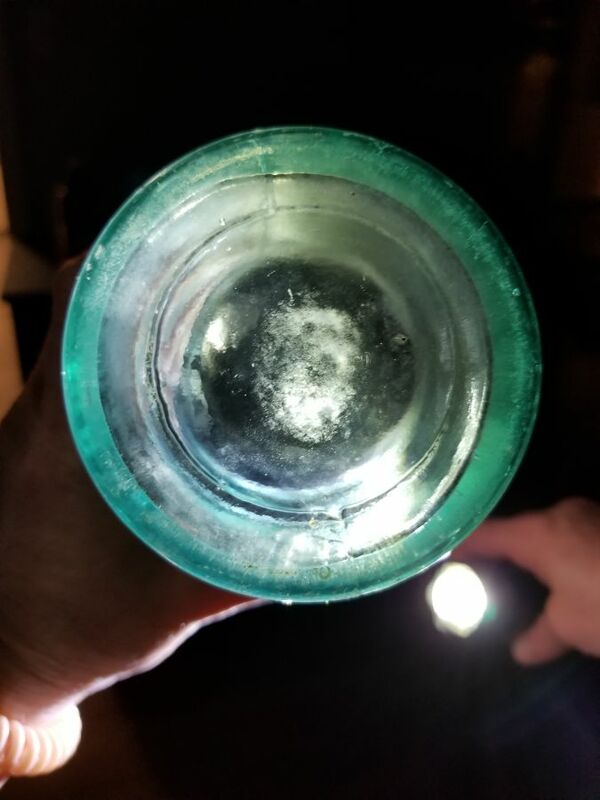 How far up the neck does the mold seam go? Any markings on the base? Its 11.5" tall. From the bottom of bottle to beginning of insignia is 6" and the insignia circle is a 2" circle. 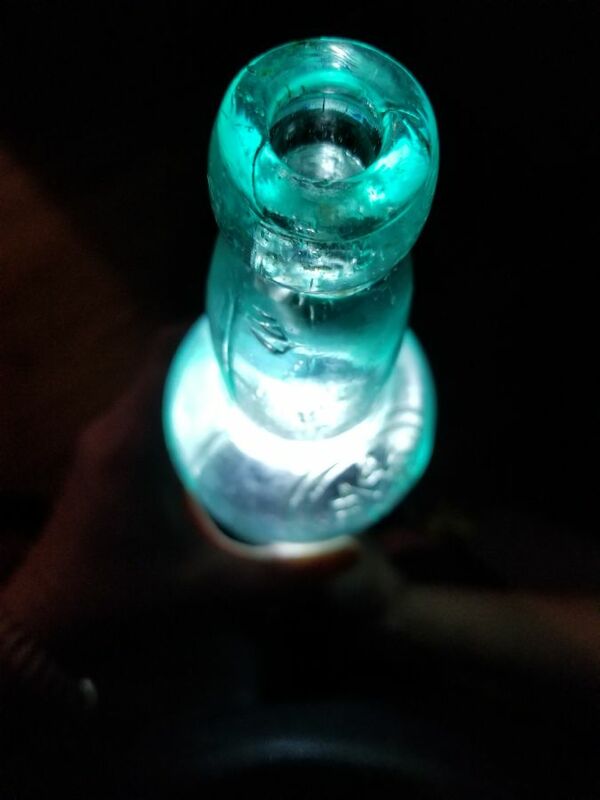 Then 3.5" to the lip of the bottle. The mold seamappears to go solo the way up but can only be felt 10.5". 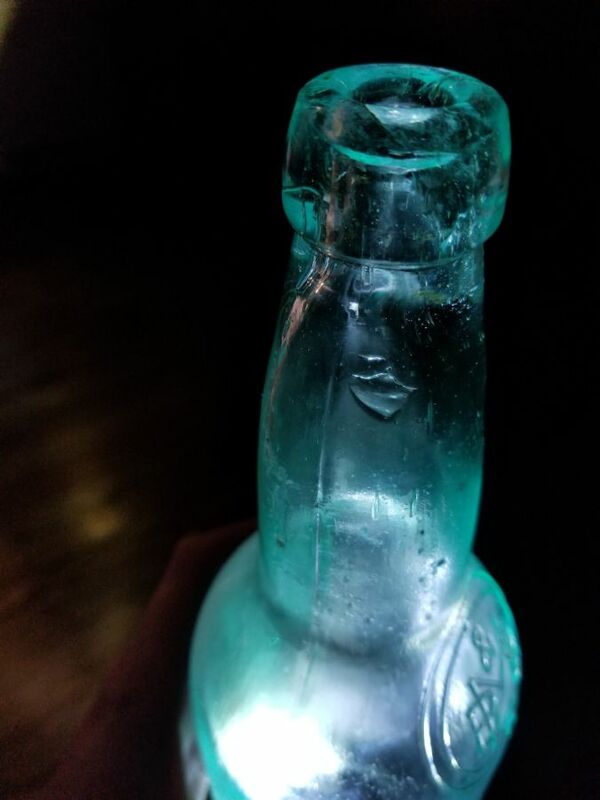 The bottle must have a green tint to it because when i shine a flashlight on it, it flows green. 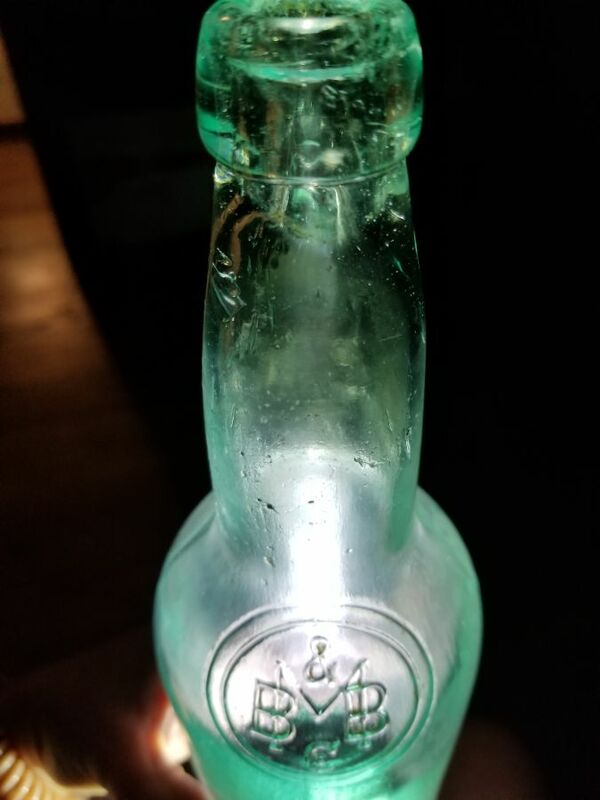 The pictures look like the glass is cracked but it is actually large irregular bubbles. I hope this helps.